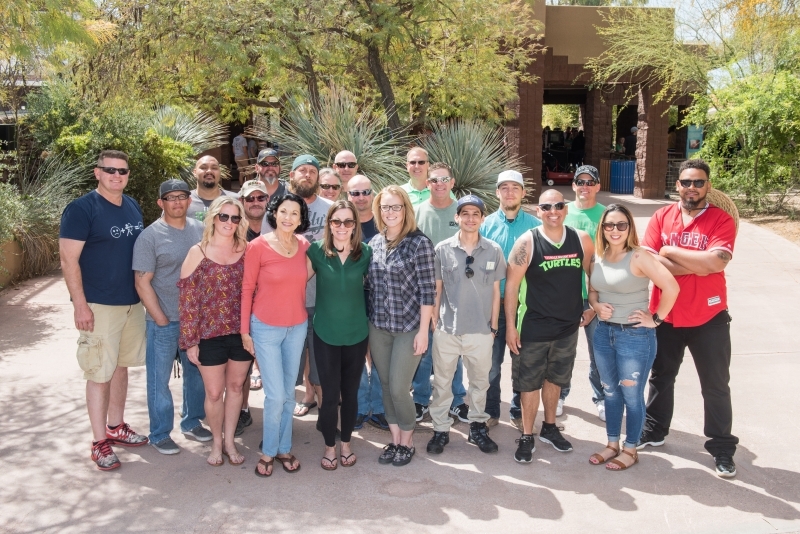 Specialized Services Company recently hosted a spring picnic for all of the company’s employees and their families at the Phoenix Zoo. Employees from across SSC’s divisions and departments attended the event. It was a great opportunity for the company’s employees to spend time together outside of work. After a luau themed catered lunch, many families participated in events such as face painting and some watched as zoo keepers brought out animals for a show and tell. The company also provided employees with tickets to the new dinosaur exhibit and the sting ray pool. Later on in the day, groups split up and ventured into the zoo to see the animals and enjoy the other activities and exhibits the zoo had to offer. It was a great day of teambuilding and will be remembered by all who attended.